A new systems biology model that mimics the process of wood formation allows scientists to predict the effects of switching on and off 21 pathway genes involved in producing lignin, a primary component of wood. 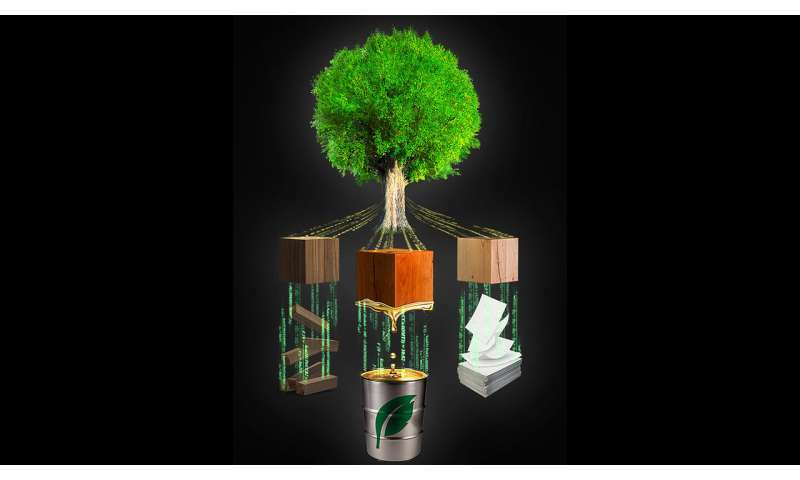 The model, built on more than three decades of research led by Vincent Chiang of the Forest Biotechnology Group at North Carolina State University, will speed the process of engineering trees for specific needs in timber, biofuel, pulp, paper and green chemistry applications. "For the first time, we can predict the outcomes of modifying multiple genes involved in lignin biosynthesis, rather than working with a single gene at a time through trial and error, which is a tedious and time-consuming process," says Jack Wang, assistant professor in NC State's College of Natural Resources and lead author of a paper about the research in Nature Communications.